While about 10,000 Americans retire daily, most people seem to spend less time planning for retirement than they do for vacation. According to a 2016 survey by GoBankingRates, the result is that 55% of Americans have less than $10,000 saved for retirement. And a 2017 study, “Do Households Have a Good Sense of Their Retirement Preparedness?” by the Center for Retirement Research at Boston College, found that even if households work to age 65 and annuitize all their financial assets, including the receipts from reverse mortgages on their homes, 52% will be at risk of being unable to maintain their standard of living in retirement. The highest suicide rate in the United States for any segment of the population is men over 70. That’s 50% higher than the suicide rate among teenagers. The speculation is that these men have lost their life’s purpose and their zest for living. The segment of society with the fastest-growing divorce rate is couples over 55, reflecting the difficulty of having to live together in new life circumstances. The sad truth is that despite most people having extensive planning experience at work (such as business strategies, lesson plans and customer meetings) and at home (such as vacations, home improvements and entertaining), most tend not to plan for retirement. Of those who do plan, most focus solely on the financial aspects. While doing so is critical, it is far from sufficient. 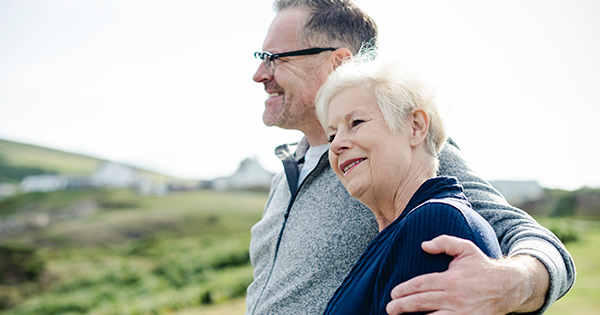 Planning for a successful retirement is about much more than just an investment strategy that will provide you with sufficient assets to fund your desired lifestyle. It’s also about planning for a meaningful life in retirement. It requires a well-thought-out estate plan, including the design for transitioning assets, and the development of wills and durable powers of attorney for financial and health matters. It should also include the development of insurance plans covering risks, such as longevity and the need for long-term care. There are also many other issues that need to be addressed, including when to take Social Security, tax-efficient withdrawals, and preparing your heirs for the transition of assets. The need for a comprehensive approach to retirement planning is why my colleague Kevin Grogan and I decided to write “Your Complete Guide to a Successful & Secure Retirement.” It was published by Harriman House in January 2019. We believe it is the most comprehensive book on the subject. We were especially pleased that we were able to attract one of the country’s leading experts on retirement planning to write the foreword. Dr. Wade Pfau is a professor of retirement income at The American College of Financial Planning and co-editor of the Journal of Personal Finance. He’s also a two-time winner of the Journal of Financial Planning Montgomery-Warschauer Award, a two-time winner of the Academic Thought Leadership Award from the Retirement Income Industry Association, and a best paper award winner in the Retirement category from the Academy of Financial Services. The following is his foreword. Planning for life post-retirement is complicated because it is a completely different life experience from what comes before. Prior to retirement, we work and save and invest with the intention of accumulating a nest-egg to support us through our retirement years. Then, once we retire, we have to make this nest-egg last. But for how long? Longevity risk is the first complexity; we don’t know how long our savings need to last. Also, once we stop working and start taking distributions from our assets, we must deal with amplifications to traditional investment volatility created by sequence-of-returns risk. We also must be prepared to deal with spending shocks, which are significant expenses that fall outside of our retirement budget, for things like long-term care or helping other family members. We must do this planning in the face of cognitive decline, with the knowledge that, as we age, it will become increasingly difficult to manage the complexities of a financial plan. Retirement income is about much more than just managing an investment portfolio. This is why Larry Swedroe and Kevin Grogan’s new book, “Your Complete Guide to a Successful and Secure Retirement,” is such an important and refreshing contribution. They know investing inside and out, and have written numerous books on investment-related topics. But as a part of a comprehensive financial planning firm, Buckingham Strategic Wealth, they also understand that so much more than investment management goes into a retirement income plan. I’m honored to write a foreword for this important book. I’ve known Larry for some years, as we have both been contributors to the Bogleheads Forum, an online message board for individuals to discuss investing and financial planning topics. As well, I serve as chief financial planning strategist for inStream Solutions, the Monte Carlo-based financial planning software program used by advisors at Buckingham and referred to throughout the book. As a professor of retirement income at The American College for Financial Services, I’m also glad to see that their advice is grounded within and vetted by the academic research. Many still base their advice on intuition or outdated rules of thumb. We are very much aligned in terms of how we think about retirement topics. As you read this guide, you will find a number of issues where Larry and Kevin provide insightful commentary to demonstrate their appreciation for the complexities of retirement income planning in ways that go well beyond those who tend to think investment management can be a solution for all of retirement’s problems are able to appreciate. The issue with investments is that the low-interest-rate environment combined with high stock market valuations and increasing longevity make it increasingly expensive and complex to try to fund retirement by thinking only in terms of an investment portfolio. The authors repeatedly emphasize that it is important to have a team of professionals aligned toward managing the complexities related to financial planning, tax planning, estate planning, long-term care support, and protecting the plan in the face of cognitive decline. The financial planner can serve as a quarterback to coordinate the activities of these professionals as they work toward the common goal of creating a successful and efficient retirement approach. And beyond finances, one must also find life satisfaction and ways to spend time in a meaningful way to replace all of the hours previously spent at work. You need a vision for your life in retirement beyond just ensuring that your nest-egg is large enough. You need to plan ahead for efficient lifetime tax strategies in terms of what types of accounts to hold assets in and how to draw from different accounts over time, while also managing required minimum distributions from qualified retirement accounts and taxes on Social Security benefits. You need a strategy for claiming Social Security benefits that seeks to provide the best financial outcome rather than relying on the easy, but potentially costly, solution of claiming as soon as possible. You need to understand Medicare and decide among the numerous options it provides for basic and supplemental coverage and prescription drugs. You need to consider whether lifetime income guarantees through annuity products may improve plan success through their ability to help manage longevity and sequence-of-returns risk in retirement. You need a plan for managing potentially large long-term care expenses, whether that be through self-funding, long-term care insurance, or spending down assets and relying on Medicaid. You need to decide on the best way to incorporate home equity into the retirement plan, and whether a reverse mortgage opened earlier in retirement may be a valuable option to manage different retirement risks. You need a risk management strategy using different types of insurance, which may include term or permanent life insurance, disability insurance, homeowners insurance, an umbrella policy, and so on. You need an estate plan, including documents such as powers of attorney, wills, and consolidated information to help those who may need to manage the household finances in the event you cannot. You need to educate your heirs on how they can continue with financial and life success over multiple generations. You need to plan ahead for protecting yourself from elder financial abuse. And finally, you do need an investment management strategy based on low costs, diversification, proper exposure to the different risk factors, and that is shown through Monte Carlo software to provide the best risk/return trade-offs to maximize the probability of plan success as well as to minimize the harm of failure.